Critical conflict with "Shor's stone"
Tavern must be moved or deleted. 2. Tavern "The Thirsty Mammoth"
Minor conflict with "The Fall of Granite Hill"
I think you just need to remove or move the farmer's field and the objects around the tavern. For SSE, there is another mod called "Granite Hill". If you make a patch, it would be nice if it is compatible with this mod. I have all your mods in the villages. 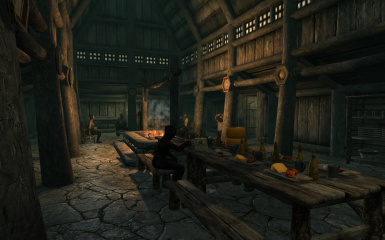 There are no conflicts with other taverns with mod "Inns and Tavern", I checked. I would do it myself, but I have little knowledge to work in the CK. Through SSEEdit, I made a patch for myself that resolves these conflicts. Though I like that Grelka is given something to do it does seem that she's very rarely in Riften now. It doesn't seem sensible for a merchant who complains about a lack of money to spend so much time hanging out at home rather than her store. Why the nagging? It's Arthmoor's vision of things. You need to be concerned about one question only: do you like the game better with the mod or without it, and act accordingly. The 3rd solution is to make your vision in your own mod. Happy New Year to you Arthmoor! And sincere thanks for everything you still keep on doing for TES after all these many years. We owe you gratitude of unspeakable magnitude. So, this mod adds Grelka to Shor's Stone and gives her a house because "Grelka has some scenes with the other NPCs that can never play because she never comes to the town, and may well have originally been planned for there". But the UESP pages for Grelka and Sylgja say that the dialogue in the scenes incorrectly refers to Grelka, and Sylgja is actually who is meant. Considering that the scenes for Grelka (in Shor's Stone) and Sylgja are totally identical, it seems like Sylgja is a replacement for the original Grelka who was going to be placed in Shor's Stone. Wouldn't it make more sense to fix the dialogue for those scenes to refer to Sylgja rather than Grelka, instead of giving Grelka a house and horse to come to Shor's Stone? UESP is wrong. The dialogue is recorded in Grelka's voice so it was never intended to be used by Sylgja. Changing it would require a whole new set of voiced lines that don't exist. And Sylgia is a miner not a merchant so it makes sense that it is Grelka who is the traveling merchant. The whole Grelka/Sylgja thing is a mess. Probably a last minute change with sloppy clean-up. Whatever happened, it gave Arthmoor the opening to give her something interesting to do. It amuses me that, when Grelka is in Shor's Stone, she completely dominates the conversations. Her two scenes seem to block all the others when they're sitting around the fire or in the inn. They only talk to her. Seems about right. After having this mod for about 150 hours of play, I still only see her in Riften now and then during the week. Her horse makes it more often than she does. My headcanon is that she's hungover a lot after the weekend, but her horse knows her schedule and goes to Riften whether she's ready or not. I've never bothered to investigate it. It would be amusing if she's just standing around outside her little stable, wondering where her damn horse is. Hey Arthmoor, big fan of your mods. 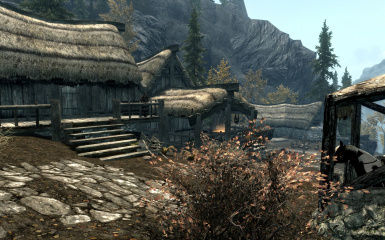 Not sure if this has already been suggested by somebody or not, but have you ever considered maybe making Odfel's ruined house a rebuildable player home? It would be really cool for a blacksmith/miner/merchant playthrough I was gonna try. In 'Shor's Stone' the 'Tapped Vein' is sitting on top of a Kajitt trading camp. Parts of the camp poking out and the trader is embedded in a table. I have no idea where or from what mod the Kajitt camp is coming from! Is it alright to use your village/city expansion mods along with Immersive Citizens? So long as you make sure Immersive Citizens loads before any city and village mods you have you should be fine. Alright, thanks; that's great to hear! Never go by what he's posted on his own website. That information has not been properly tested and assumes his navmeshes should always win. They should never be allowed to win against a village mod of any sort. 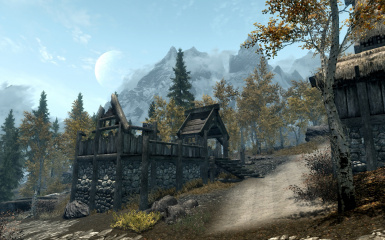 Hey guys, a bit new to using xEdit and Merge Plugs, and I'm just wondering if it's safe, or plausible, to merge all of Arthmoor's town mods into one plugin? Or if there's already an AIO somewhere? He's mentioned in comments elsewhere that it's not recommended due to issues that may come up with navmeshes. And no, there is no AIO anywhere. There seems to be some conflicts with this mod and Skyrim Better Roads. Unless it's my load order (I use LOOT but that can get load order wrong occasionally). 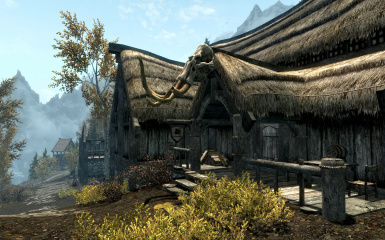 There seems to be fences blocking the the Inn, fences around Grelka's house clipping through things, Odfel's house and some clipping in the stable next to it. Any chance for a compatibility patch or a suggestion on load order? Both your village improvement mods and Better Roads are the best, I quite like the improvement on the road in the Rift and Shor's Stone looks better than what it did in Vanilla (even with the mess of fences).